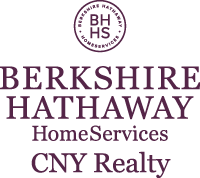 The median home value in Marcellus, NY is $130,500 This is higher than the county median home value of $128,100. The national median home value is $185,800. The average price of homes sold in , is $. Approximately 78.23% of Marcellus homes are owned, compared to 16.45% rented, while 5.32% are vacant. Marcellus real estate listings include condos, townhomes, and single family homes for sale. . Commercial properties are also available. If you see a property Marcellus real estate agent to arrange a tour today ! This raised ranch is just waiting for you. Beautiful farmhouse with 4-5 bedrooms. Stunning vintage sinks, wood plank floors, shiplap accent walls. Custom cherry cabinets, stainless steel appliances good sized bedrooms. Lower level is as big as the upper level is finished and includes a massive master suite that includes a beautiful soaking tub. Also a family room with walk out to a stunning deck with beautiful views of the hills. The massive garage finishes this off. This house is move in ready and waiting for you. Beautifully cared for ranch on 1.2 acre lot just outside of Village of Marcellus. Hickory cabinets and quartz counter tops in main kitchen. Textured ceramic tile in main floor bath. Finished basement with full kitchen, full bath and large living area with wood stove and separate entrance would be ideal in-law apartment. Tankless hot water, central vacuum, zoned heating. 20X20 deck will be stained as soon as weather permits. Garden shed attached to house. This is heaven for a gardener with large, open, slightly sloping back yard and cistern water connected to pump for irrigation. Interior painting in progress. Pictures will be updated. No showings until April 10. Can't get enough summer in CNY? Need a therapeutic swim or a quick calorie burning work-out without leaving the house in the winter? How about indoor pool parties YEAR ROUND?! This four bedroom, two bath cape located in the Marcellus school district has a huge INDOOR heated pool room with an adjacent great room perfect for entertaining, dance or yoga studio, gym, etc. Master bedroom and bath are on lower level where you can go to get away from it all. Small bedroom on main floor would be perfect for your home office. Two big bedrooms on 2nd level and additional space for huge walk in closet or an additional bath. Variance has been obtained for two car garage if you would like to add another garage. Over 2500 sq. ft. home on a 1/2 acre of land. SEE NOW!! !